Brews an excellent cup of coffee. 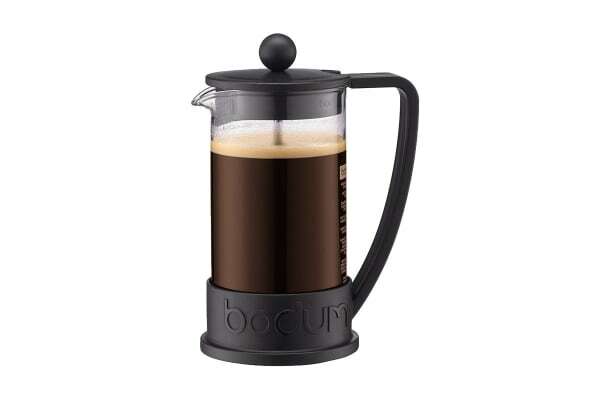 The Bodum Brazil French Press Coffee Maker has a heat resistant, borosilicate glass beaker and a polypropylene handle and base, which make the Brazil easy to use and easy to clean. Brewing coffee in the Bodum Brazil French Press Coffee Maker is one of the life’s great pleasures. The domed lid is made of a smooth polypropylene and has the special Bodum safety and aroma seal to keep your coffee warm for a longer time.